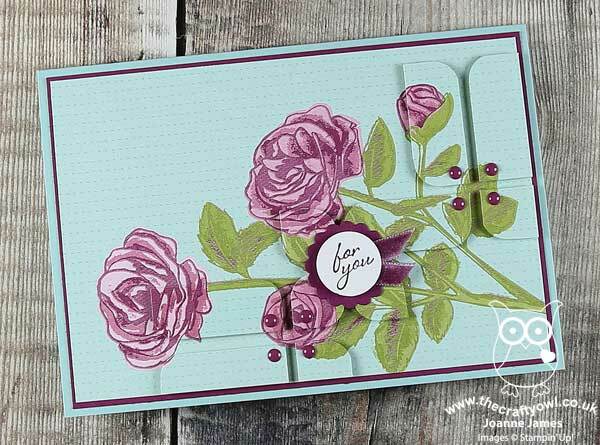 On the surface, Joanne's card looks fairly simple, some pretty designer paper with roses on it. But when you look closely, you'll see that she has cut pieces to match the challenge sketch mosaic from a second piece of the same design and aligned them with the first image. When you think about it, that would be enormously difficult, knowing where to cut them on the second piece so you would get the desired effect! Well, done, Joanne, especially your Math skills! The Design Team was highly impressed, in fact our heads were spinning!! 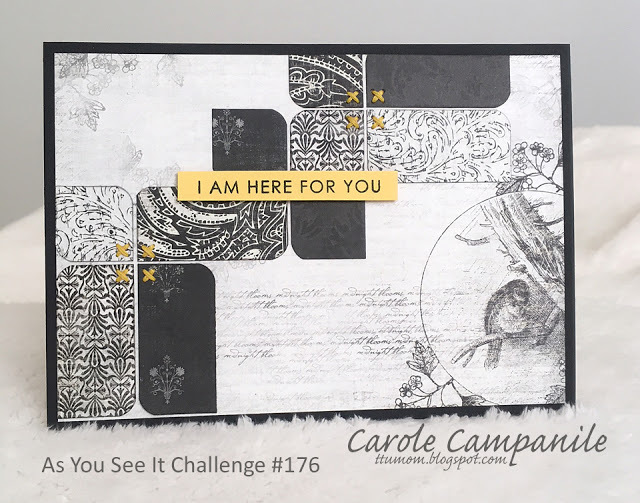 The Design Team were all drawn to Carole's lovely vintage black,white and grey tone patterned paper and how well it all coordinated. We loved how Carole flipped the sketch, which was a kind of serendipitous accident, but it really showcased the main image on her background paper. And the pops of bright yellow really were the icing on the cake! Gorgeous! Congratulations to our winners and thanks to everyone who played along! I hope you'll come back and check out our new collection challenge tomorrow! Our winners can pick up their badges on this page and display them with pride on their blogs or sites. Thank you ladies for choosing my card as your Top Pick this week - I’m thrilled! 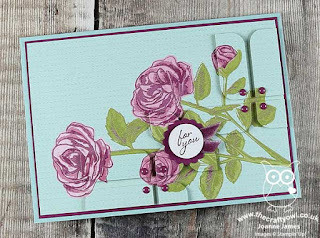 Congratulations to Carole on her gorgeous grey vintage card too - stunning. Oh muy. Ladies, thank you so very much. My apologies for not posting sooner. It's been a busy week and I'm only just now looking back at old posts. Congratulations Joanne, I'm with the design team on how beautifully you matched up the cuts with the DP. Well done and a gorgeous card is the result.